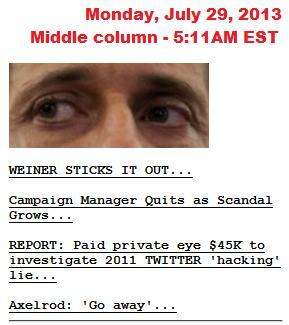 Seriously, how do you write a headline that involves Anthony Weiner? Matt Drudge, affectionately referred to hereafter as "Drudge", of the "Drudge Report" writes headlines that are often informative, entertaining, and sometimes include double meaning or sarcasm. 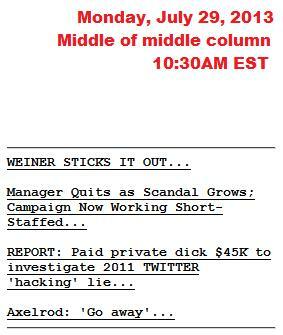 Over the past week Drudge appears to have been having a ball massaging his schtick when it comes to the headlines he's been writing in relation to the latest sexting scandal involving former Congressman and current NYC mayoral candidate Anthony Weiner (D-NY). I'll let the headlines speak for themselves. 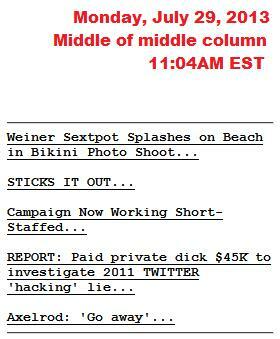 Not all of the headlines are hilarious or dripping with double entendres, but several of them are. 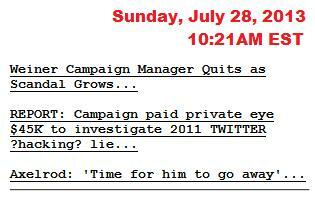 I've taken over 20 screenshots of the Drudge Report via the Drudge Report Archives and they're all included below. If you'd prefer to see the following headlines in video form, I've included all of them in a video at the bottom of this post. (Or you can click this link to be taken to YouTube to watch it right now.) Audio clips from various news and comedy personalities are also included in the video. 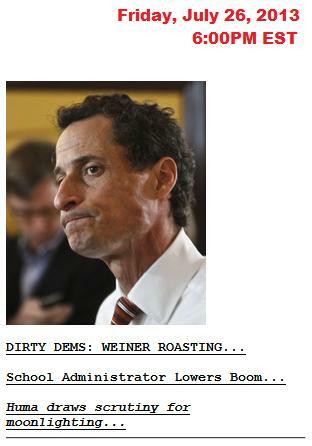 "Dirty Weiner"..."pressure mounts...to pull out"..."presses ahead". 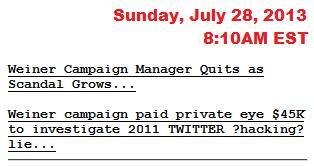 Drudge. Please. Stop. 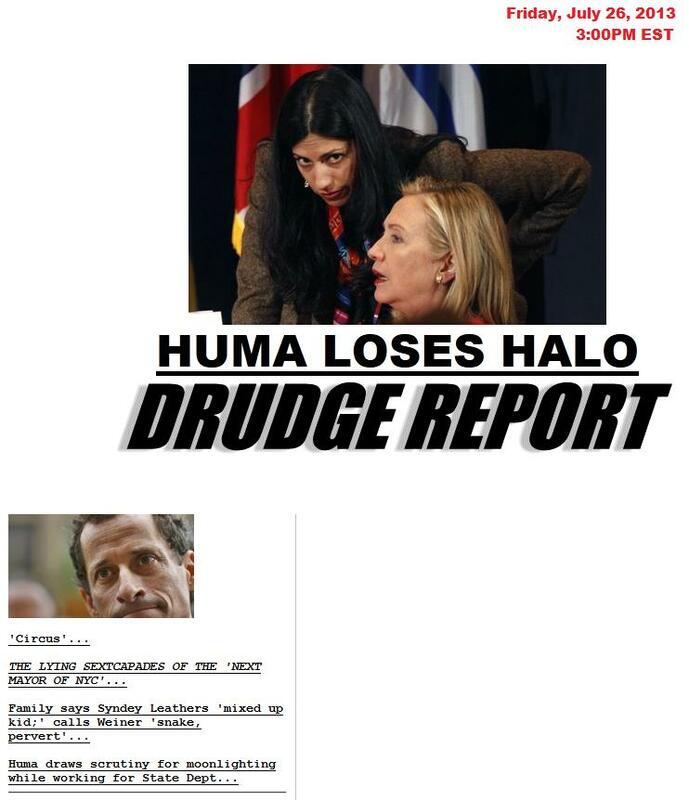 "HUMALIATION" - A play on Weiner's wife's name - Huma Abedin. 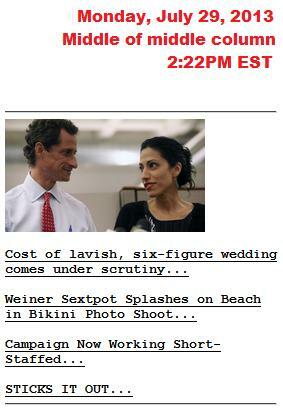 "POLL: Weiner goes soft". Ba dum bum. "Weiner Vows To Stick It Out" - Lord, NO! That's what got him INTO this trouble. Enough already. 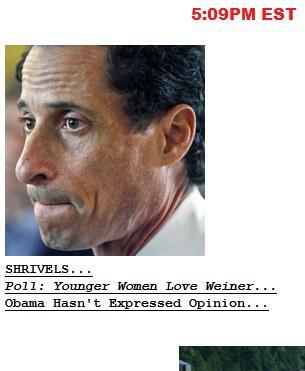 "Poll: Younger Women Love Weiner" - Ya don't say? "Obama Hasn't Expressed Opinion" - About "Weiner"? 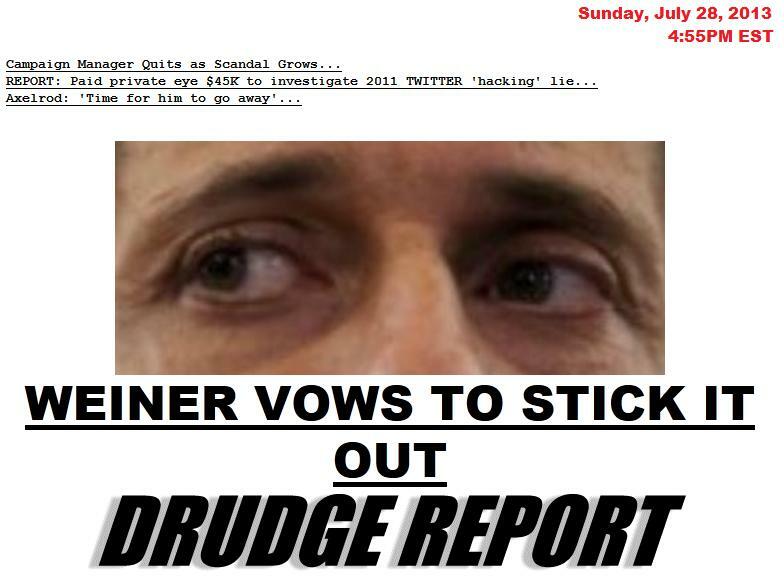 So many people wish he would...about "weiner", not "Weiner". 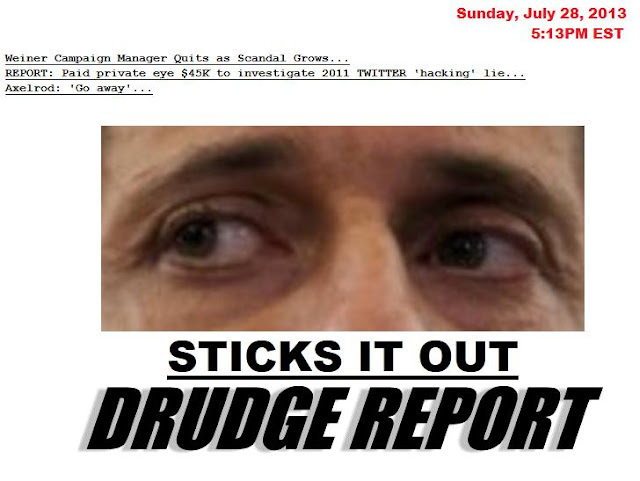 "SLASHES WEINER..." A la Bobbitt??? This post has been updated for clarity and to correct typos.